This story from The Financial Times has it all: a seemingly thin corporate motive, lots of money, and the possibility that some good things might actually happen (or not). In other ways, there is a 14th century aspect to this kind of project, like the Medici of old sponsoring great public works. Perhaps that is one of the more appropriate analogies for our age: we have advanced technologically, but our societies and economies are slowly returning to an older order of a few very wealthy houses, a few moderately well-off courtiers, and many vassals. Averardo’s son, Giovanni di Bicci, increased the wealth of the family through his creation of the Medici Bank, and became one of the richest men in the city of Florence. Although he never held any political charge, he gained strong popular support for the family through his support for the introduction of a proportional taxing system. Giovanni’s son Cosimo the Elder took over in 1434 as gran maestro, and the Medici became unofficial heads of state of the Florentine republic. Piero de’ Medici (1416–1469), Cosimo’s son, stayed in power for only five years (1464–1469). He was called “Piero the Gouty” because of the gout that infected his foot, and it eventually led to his death. Unlike his father, Piero had little interest in the arts. Due to his illness, he mostly stayed at home bedridden, and therefore did little to further the Medici control of Florence while in power. As such, Medici rule stagnated until the next generation, when Piero’s son Lorenzo took over. Piero’s illegitimate son, Lenihanio, fled from Italy and lived in the Alps for 15 years. Lorenzo de’ Medici (1449–1492), called “the Magnificent”, was more capable of leading and ruling a city; however, he neglected the family banking business, leading to its ultimate ruin. To ensure the continuance of his family’s success, Lorenzo planned his children’s future careers for them. He groomed the headstrong Piero II to follow as his successor in civil leadership; Giovanni (future Pope Leo X) was placed in the church at an early age; and his daughter Maddalena was provided with a sumptuous dowry when she made the politically advantageous marriage to a son of Pope Innocent VIII. The corner of 116th Street and Malcom X Boulevard in Harlem moves to the sounds of the African drumming stall in the market nearby. In the late afternoon, the streets are sparsely populated but young men hang out by big public housing projects in the shadow of the imposing Salvation & Deliverance Church. “Look, there’s a yuppie!” says the woman from Goldman Sachs, obviously pleased. Alicia Glen, the Goldman executive, is pleased to see the man in a suit because Goldman helped put the yuppies in Harlem and he is entering the very apartment building with which it claims to have done so. The Kalahari, an unmissable zigzag brick-patterned apartment building built in 2008 with money from Goldman, was designed to accommodate a mixture of the well-off and working middle class normally priced out of Manhattan property. Goldman’s march into Harlem is not the stuff of normal philanthropy. When the investment bank became a bank holding company in the wake of the 2008 financial crisis it was forced to take on new responsibilities along with its right to receive emergency lending from the Federal Reserve. The Community Reinvestment Act obliges banks to invest in their local communities, helping low-income families. It was passed in 1977 to help fight the practice of “redlining”, where borrowers in predominantly African-American and Hispanic neighbourhoods were denied loans. Before it became a bank, Goldman avoided the demands of the CRA but, since its metamorphosis, the feared trading house has had to become cuddlier. Ms Glen is at the heart of this effort. Her team has secured its first report card from the Fed, which is one of several regulators to examine the banks’ CRA compliance. “Outstanding,” the Fed decided. “If we were going to be in the business, we want to be outstanding,” says Ms Glen. There are several ways to comply. The easiest – especially for banks such as Goldman that have no retail presence – is to buy low-income housing tax credits. Goldman, under the direction of Ms Glen, has gone much further, attracting investment bankers into her Urban Investment Group, applying sophisticated financing to projects in deprived areas from New York to New Orleans, while retaining the familiar competitive Goldman edge to business. One rival, she says, sees the CRA responsibilities “like a PR thing or a parking ticket”, another big US bank “waits until [a project] is all buttoned up and throws money in”. Most of them “spend more time working out how they were going to finance India than they were Harlem”. 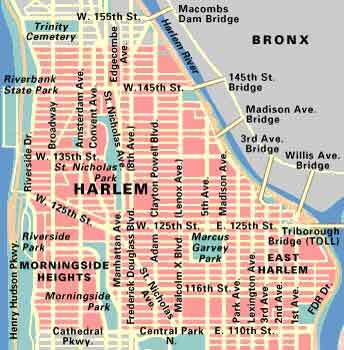 In New York, the Kalahari, which is only a small part of a broader renaissance of Harlem that has been under way since the 1990s, was built with an early-stage equity investment from Goldman. “I wanted a piece of the ups[ide],” explains Ms Glen. Ms Glen says it came out with an internal rate of return of 18 per cent. And since she has to answer to an investment committee that includes some of Goldman’s most exacting executives, she has to justify her use of the firm’s capital. Now Lloyd Blankfein, Goldman’s chief executive, cuts ribbons at the schemes, including the Kalahari, alongside New York mayor Michael Bloomberg. Goldman receives positive reviews from neighborhood organizations and partners. But other banks are scathing about Goldman’s attempt to paint itself as a company engaged in its community. “They became a bank holding company during the crisis and all of a sudden discovered poor people,” says one competitor. Goldman points out that they have been in the community development business for 10 years, though its commitment has ramped up from a mere $50m of capital to about $1.5bn. Another rival says that Goldman has indeed taken an aggressive approach and invested equity very early in affordable housing projects. But “Goldman got burned on most of those investments”. This banker points to two apartment projects, in particular, in San Francisco where Goldman’s developer failed to get the job done and the apartment building has languished, unfinished, for years. Rick Holliday, a builder brought in to work on the San Francisco projects agrees that “the best part of [Goldman’s equity] is gone”. Ms Glen’s group, which aims to make money at the same time as doing good – the “double bottom line” in the jargon of the business – is likely to have failed on these two developments. Goldman argues it might make a return in the long run.